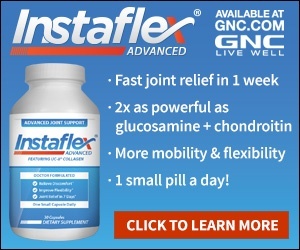 Instaflex - Doesn't work and hard to stop them from billing me.
. a bbethe fact that I have to write a minimum 100 word fn complaint should tell you a little about the company itself. do not order, do not order, do not order, do not order do not order, do not order do not order, guess I need a few more before it will let me submit, do not order. ok a few more and almost there do not order, it is a scam to get your money, do not order. Review #688635 is a subjective opinion of User688635. I tried Instafkex for 6 months and it does not work. The company called me because I changed my credit card and they insisted that give them my info. They called me a second time and I hung up the phone on them. They are running a scam in trying to convince consumers that their product is superior. Don't waste you money on their empty promises.